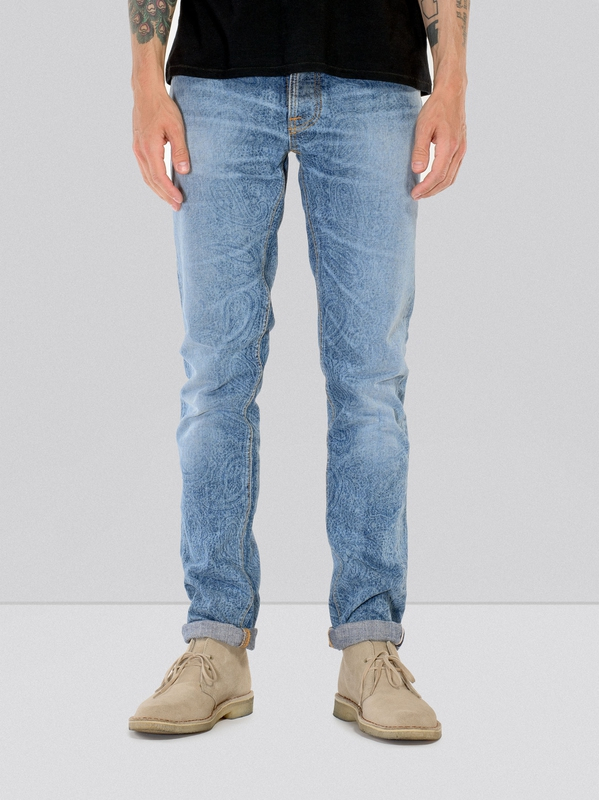 First step worn in denim. 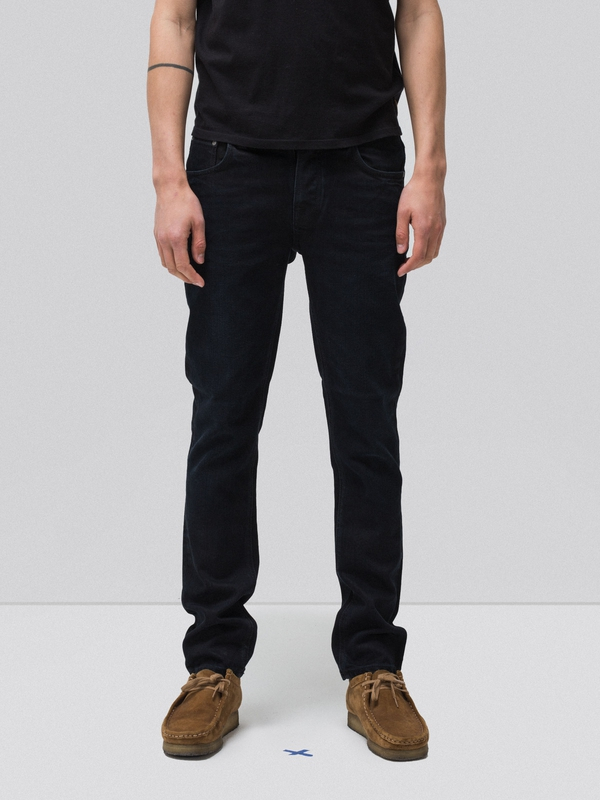 Indigo blue overdyed with black. 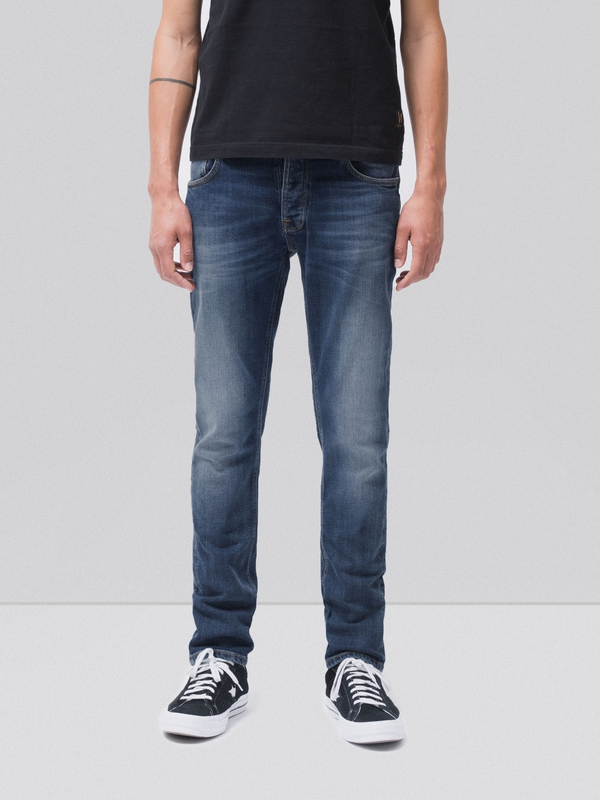 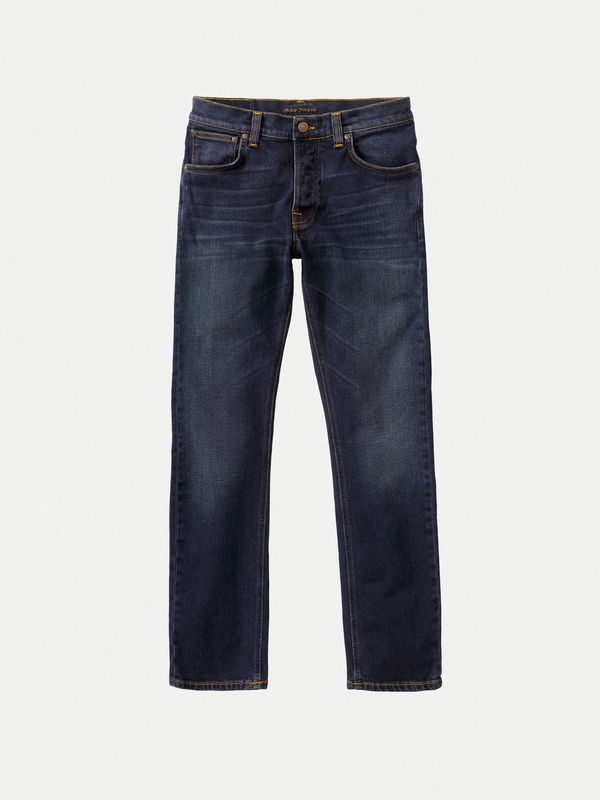 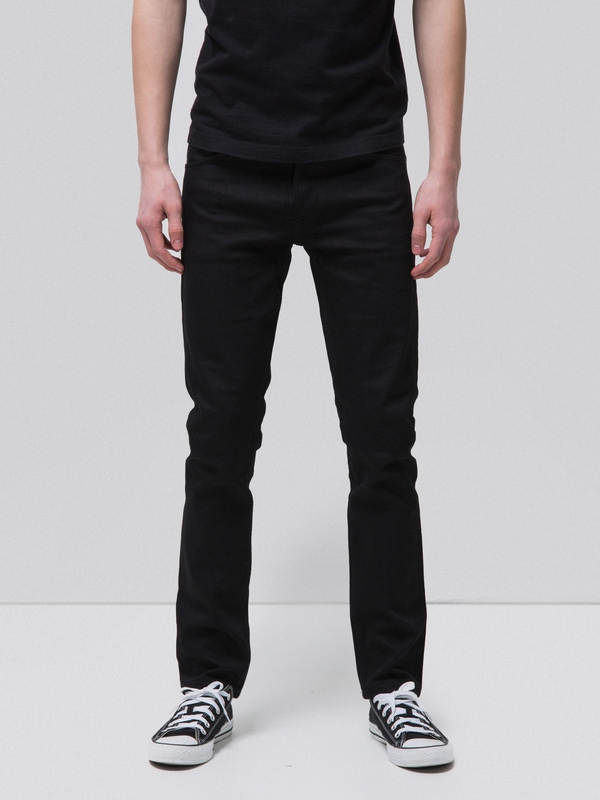 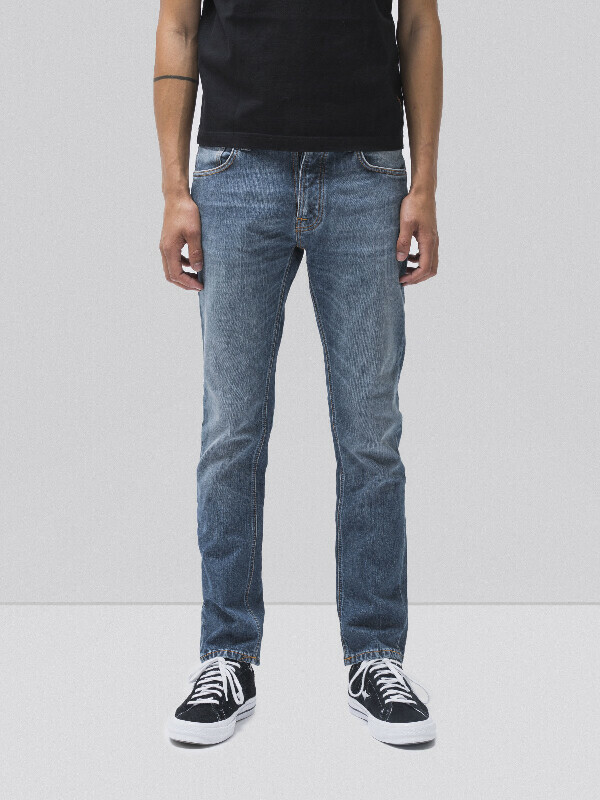 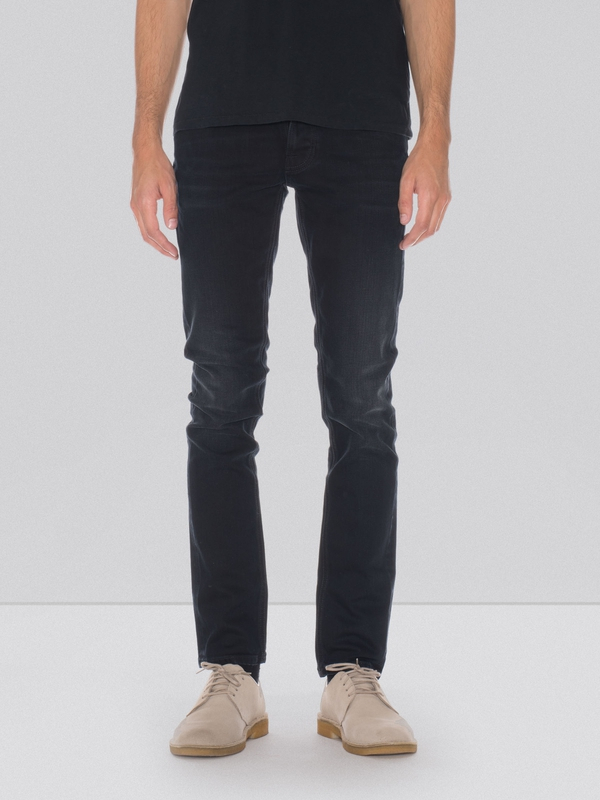 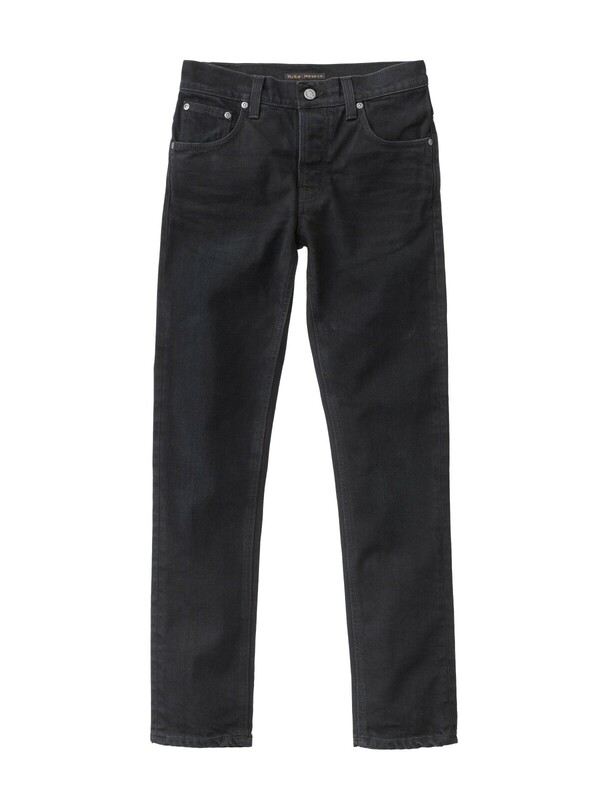 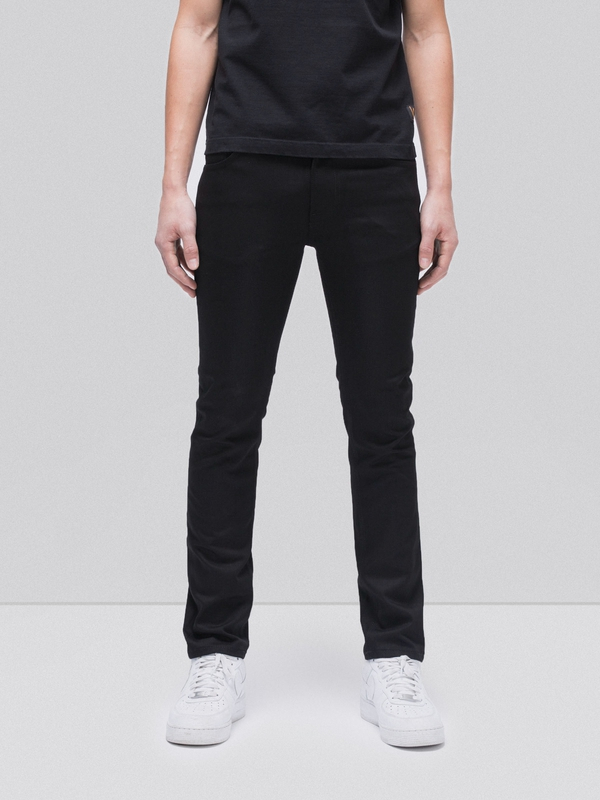 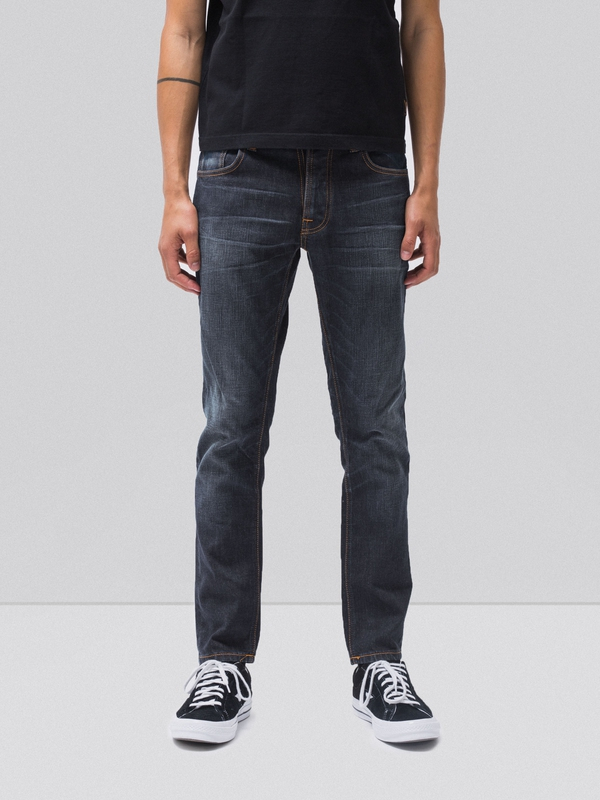 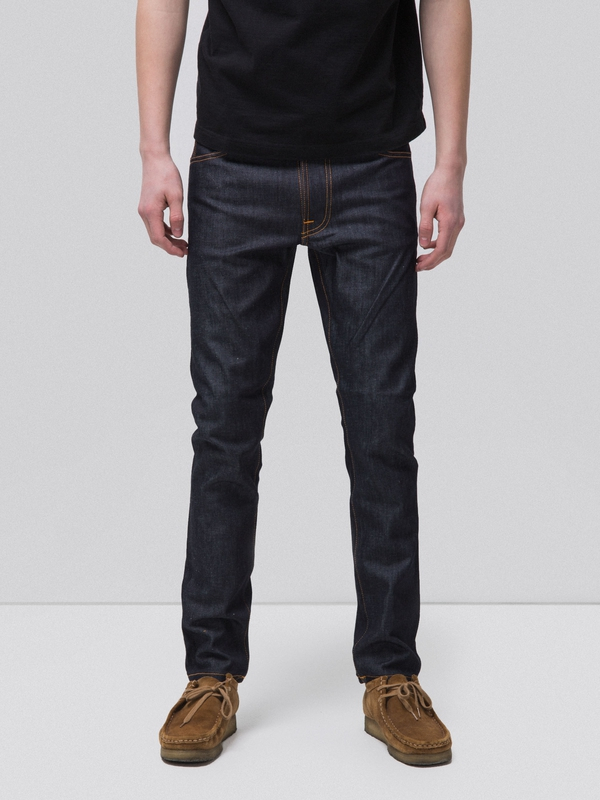 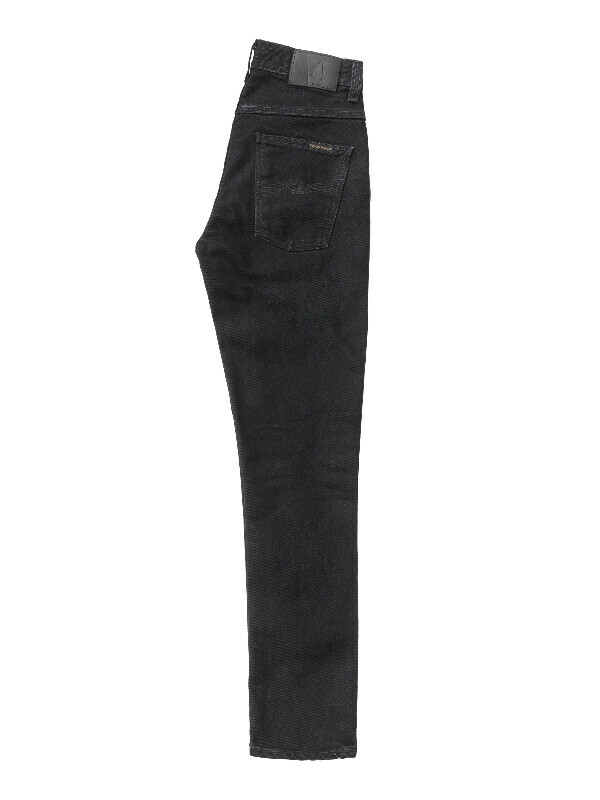 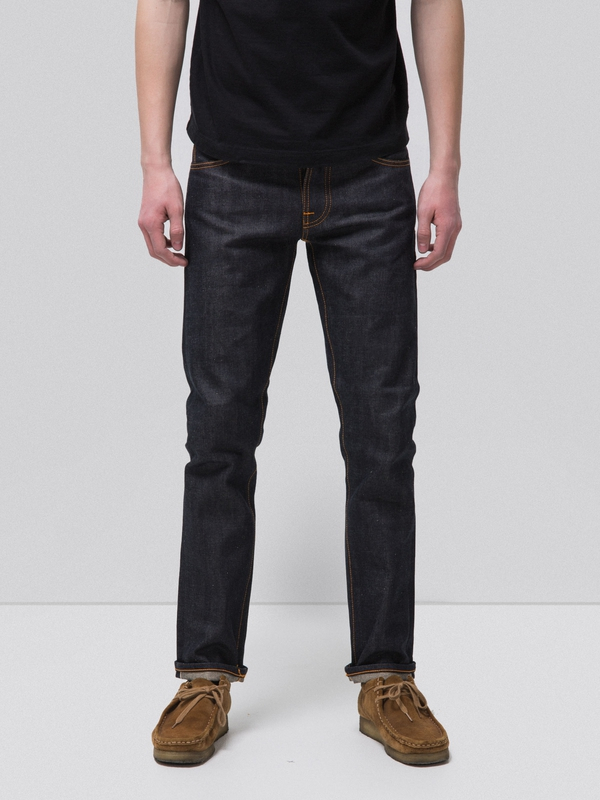 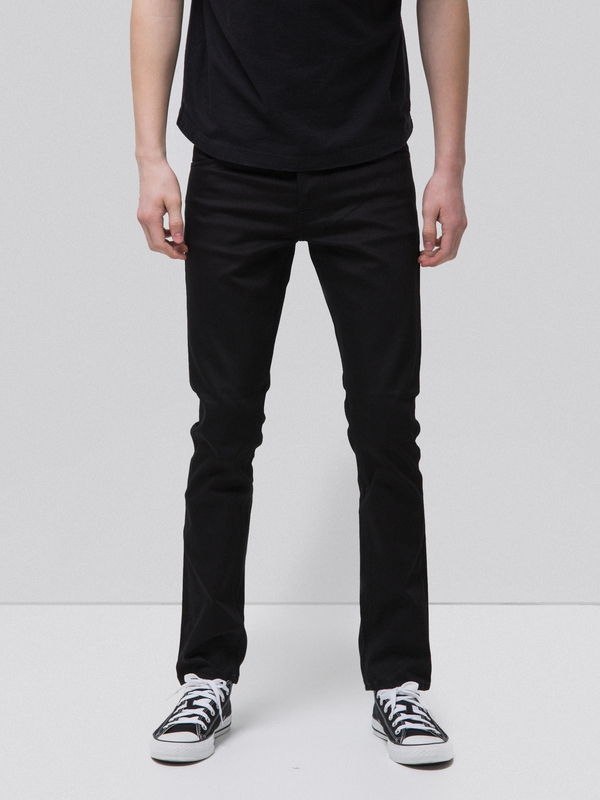 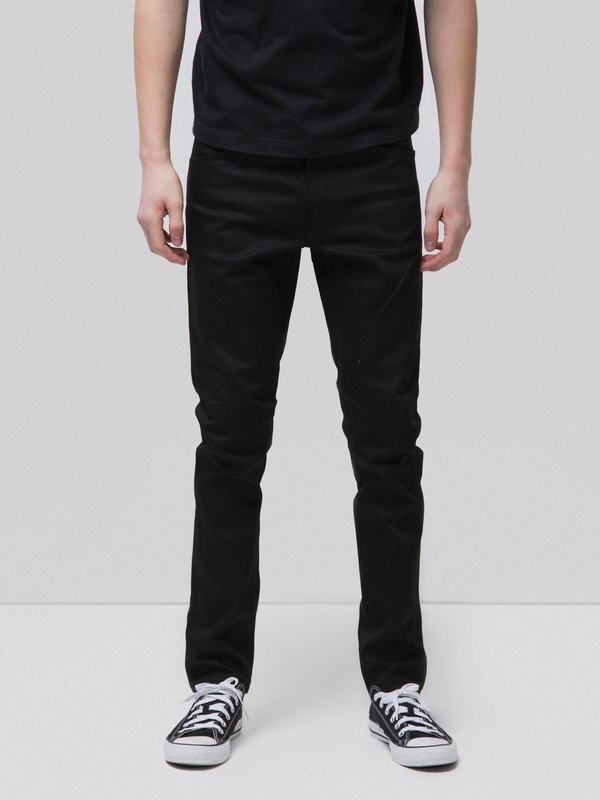 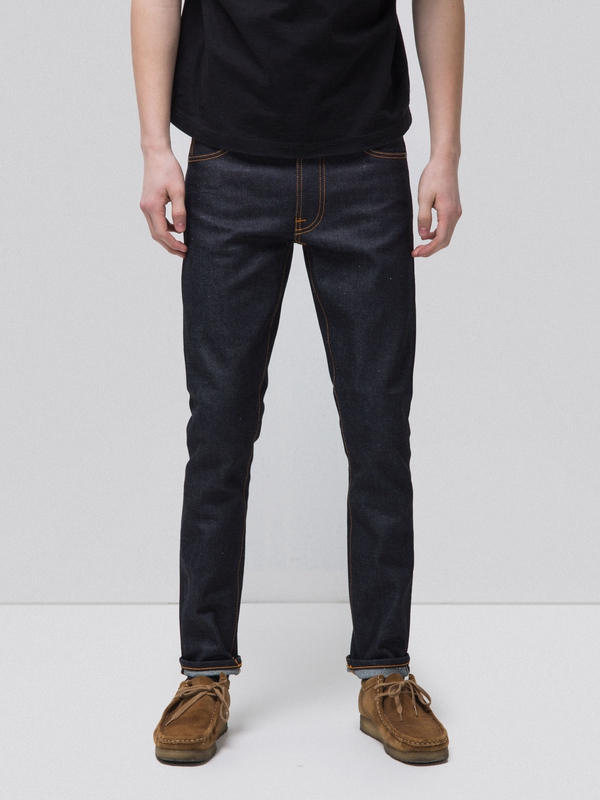 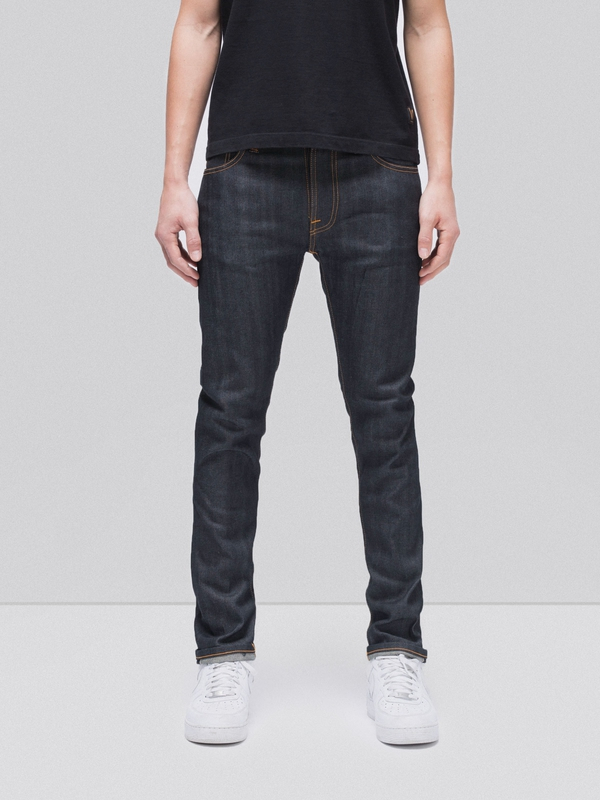 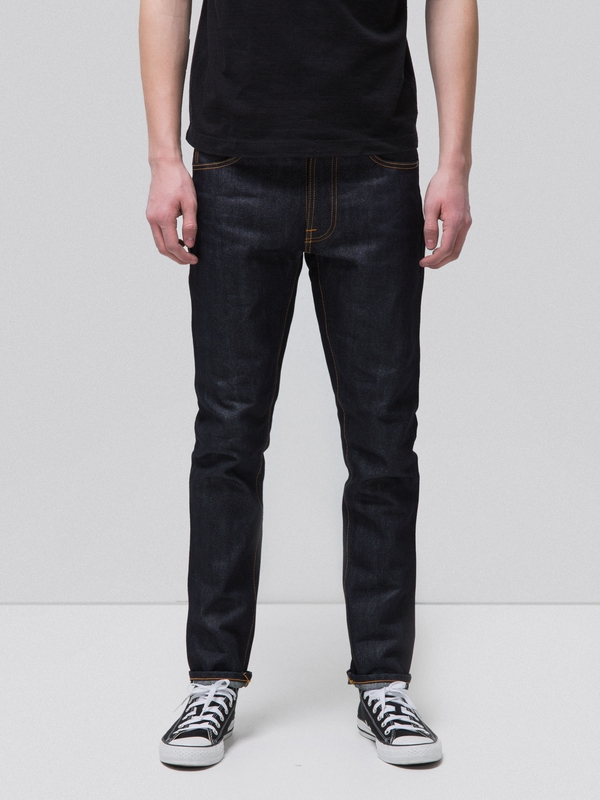 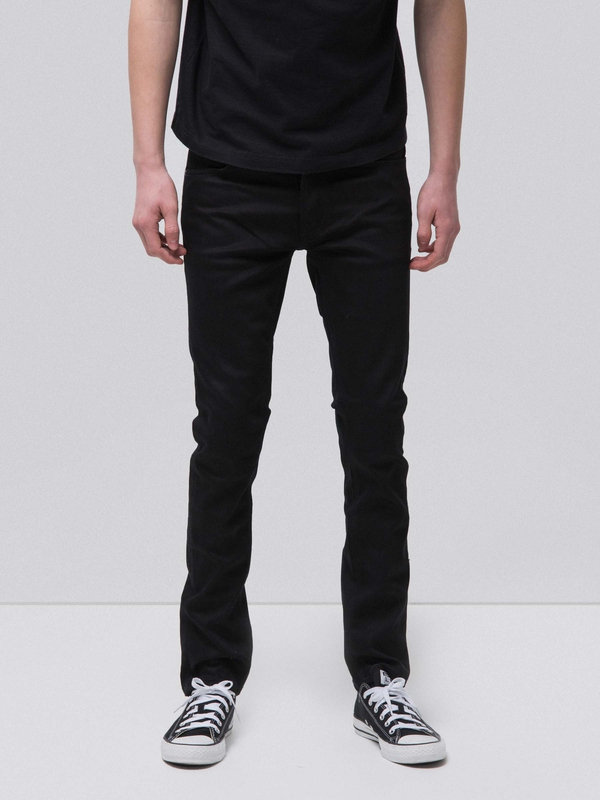 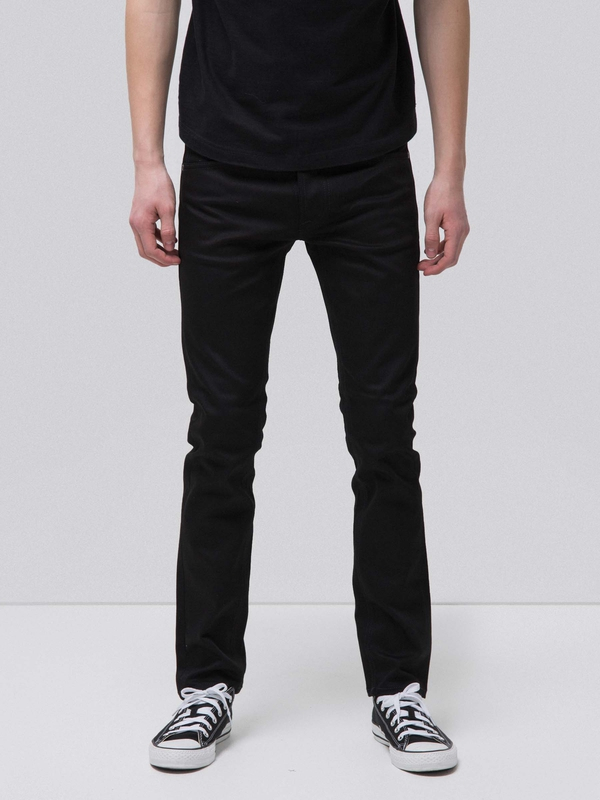 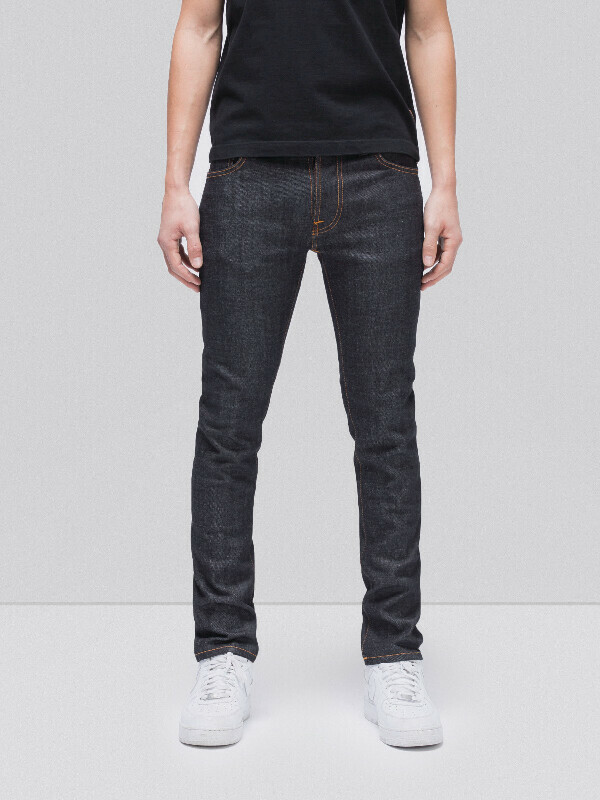 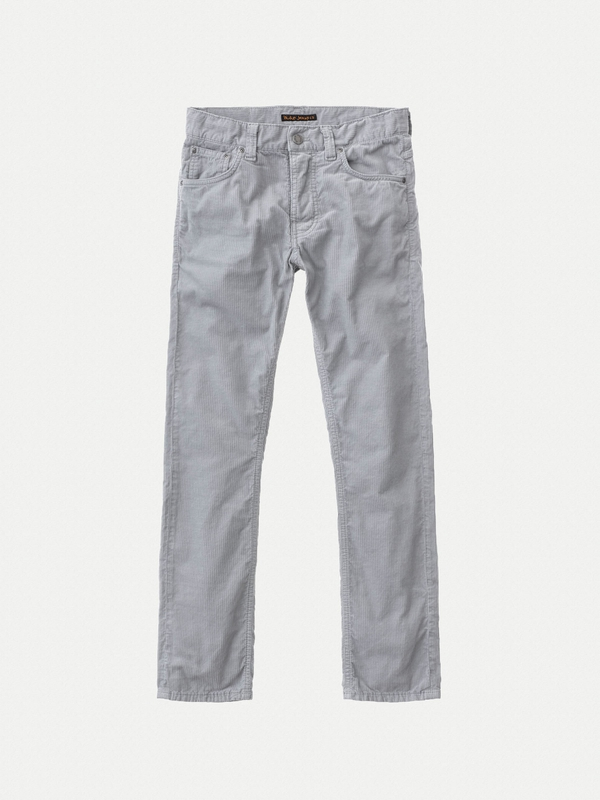 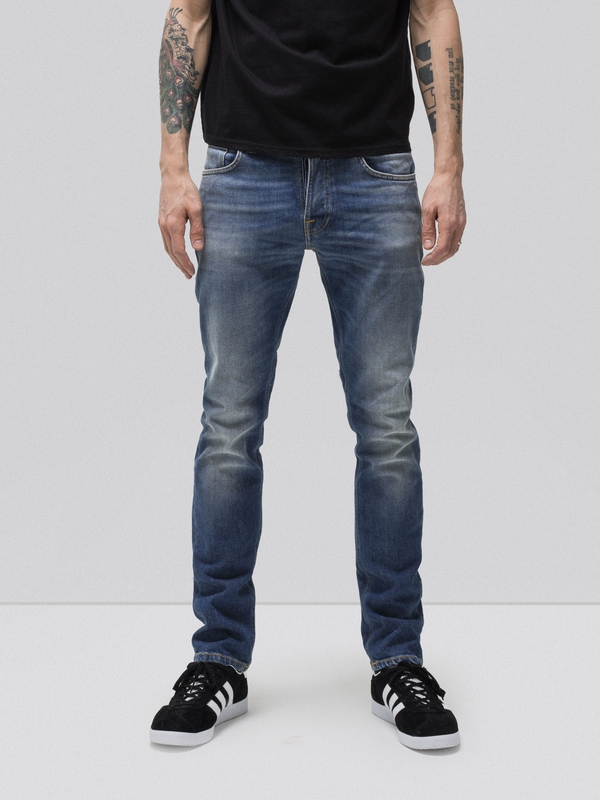 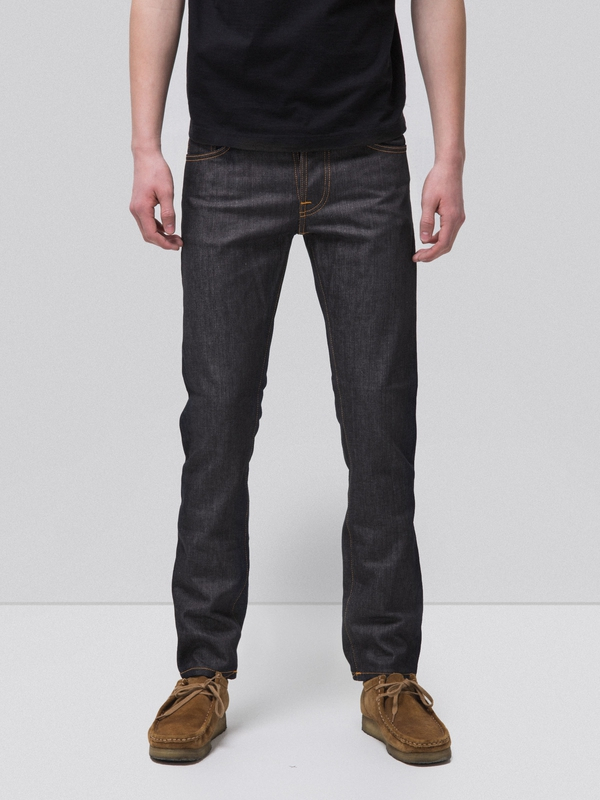 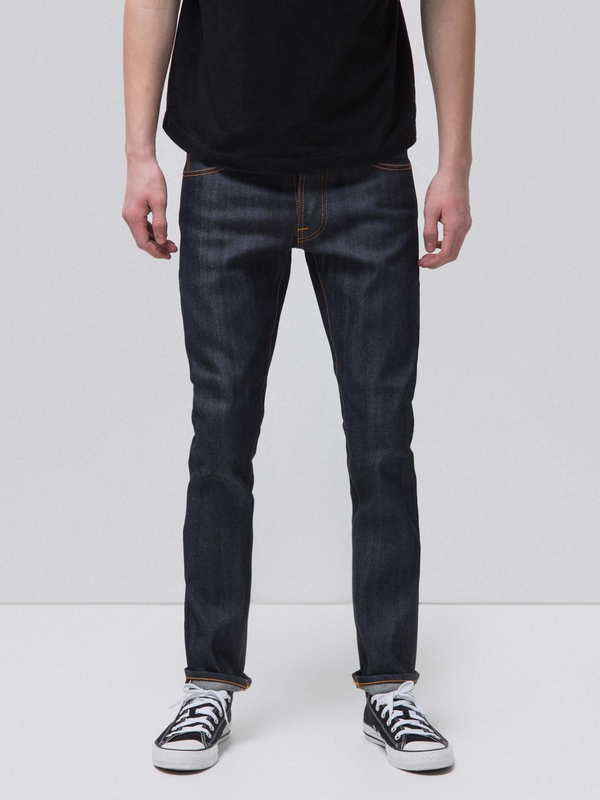 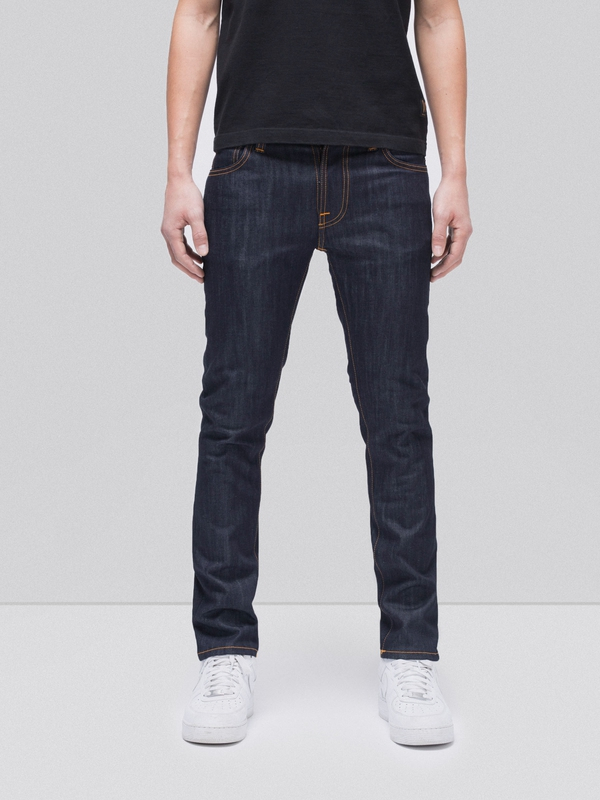 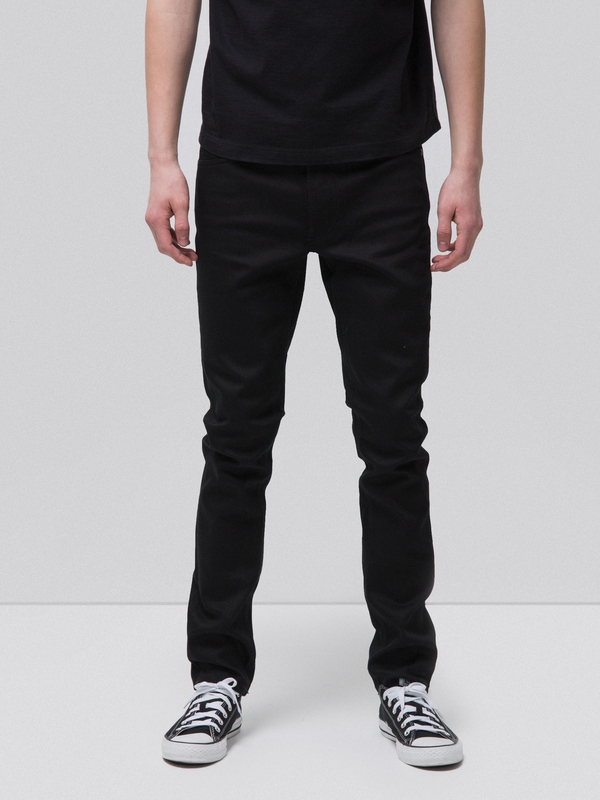 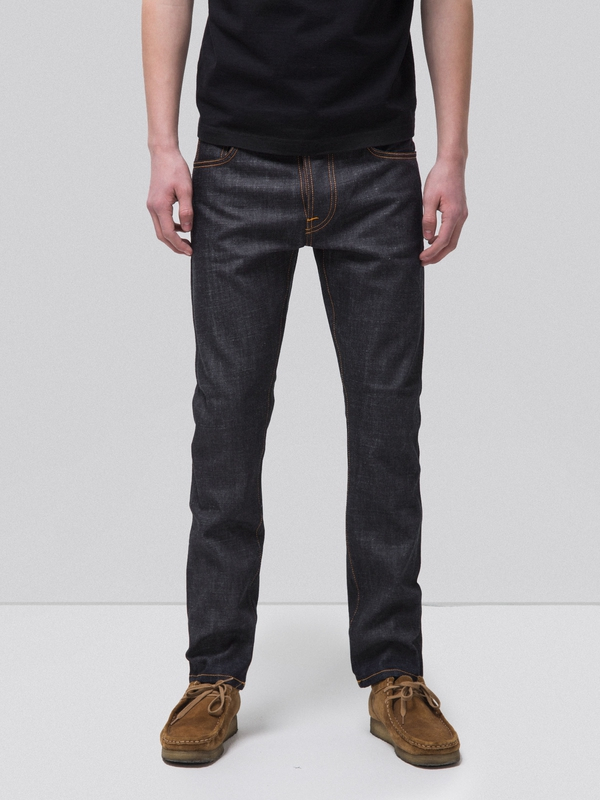 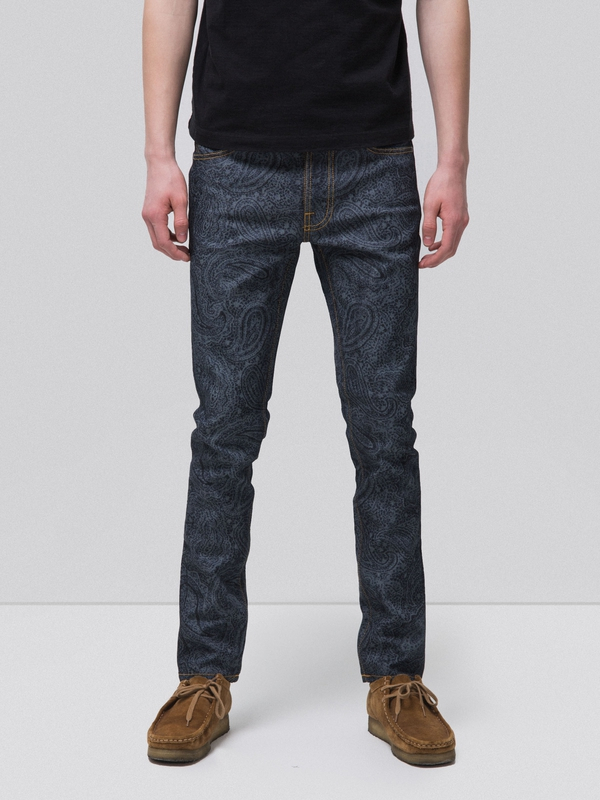 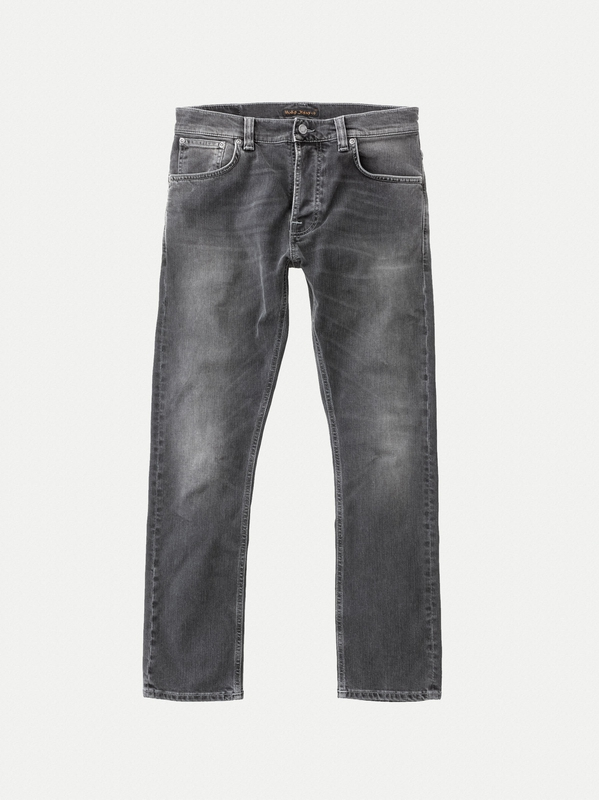 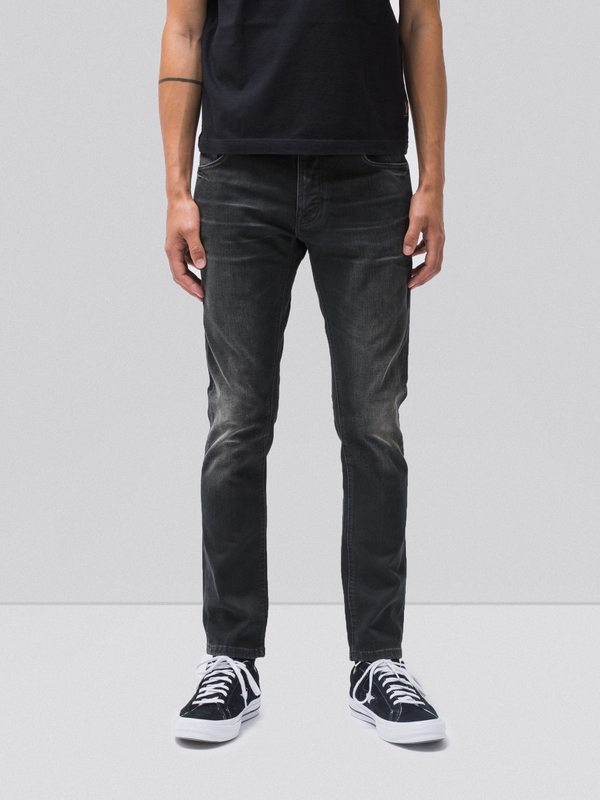 The blue shade subtly shines through in the wash effects.First step worn in black denim.